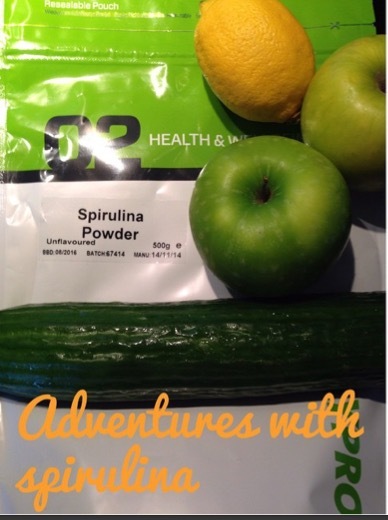 Spiru… what? Pond gunk or superfood? 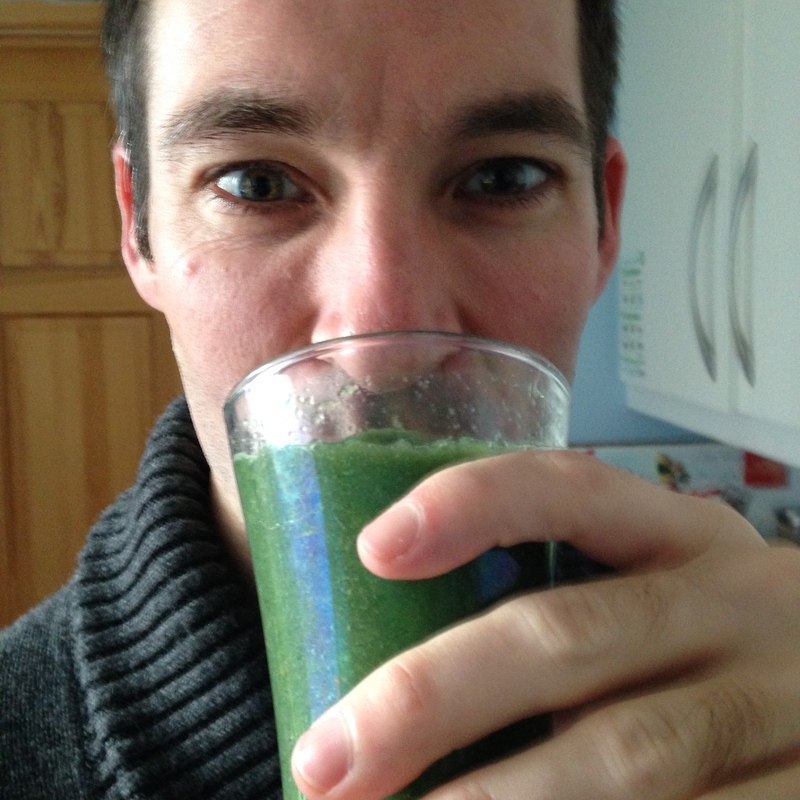 Recently the lovely people at myprotein.com sent me some spirulina, so I thought I’d give it a try. The first time I heard of spirulina was nearly a decade ago when crazy “doctor” Gillian McKeith talked about it on ‘You are what you eat’. McKeith’s credentials have since been rubbished, but that doesn’t mean that everything she talked about was wrong – few people would argue with eating a healthy diet including plenty of fresh fruit and veg. But what is spirulina? It’s an algae or cyanobacteria, which doesn’t sound particularly delicious, and I’ll be honest, it doesn’t look terribly appetising. I gathered together the required ingredients, which was easy enough. There were no instructions with the recipe, but I figured that it should be easy enough to make a smoothie. I don’t have a juicer, but that didn’t worry me. I chopped the ends off the cucumber and cored the apple. I decided that peeling the cucumber and the apples was probably unnecessary. Then I got to the lemon – hmm, what should I do with it? I carefully zested it and then cut off the pith and removed the pips. I chopped the ingredients a little and then threw them into my blender with a little water. 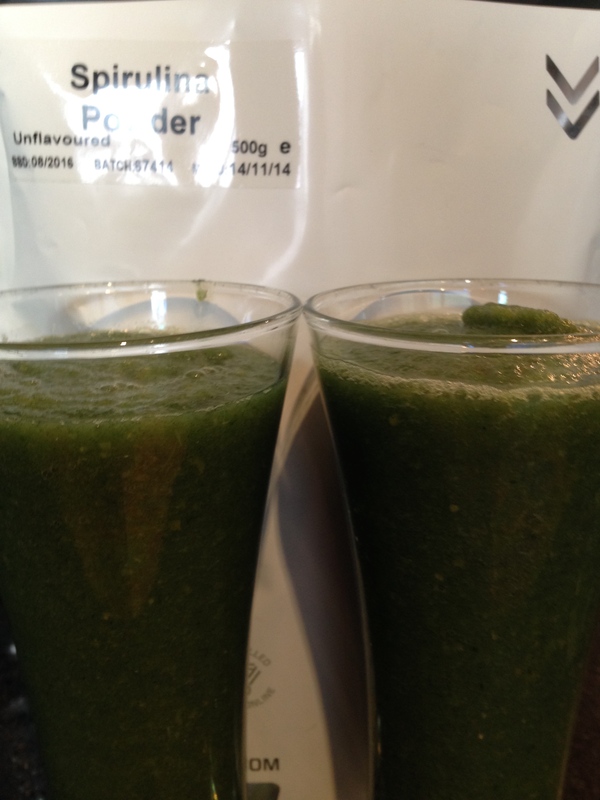 After I had blended the ingredients, I added a teaspoon of spirulina powder. I will admit that the finished result looked somewhat like the murky water in the lake that I swim in :-S On the plus side, it did smell good. I took my first sip and was pleasantly surprised. It tasted good 😀 There was enough for two glasses, so I gave the other one to my husband, Stu. Overall, I think it was a success, but I probably need a better blender and adding a little more water may have helped! 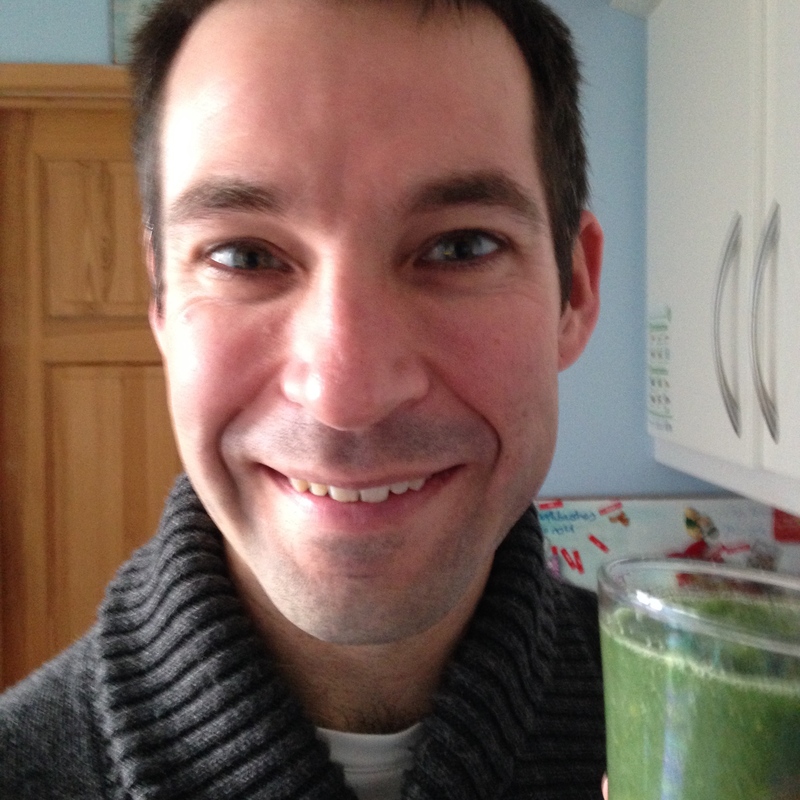 I sipped the smoothie before adding the spirulina and although I noticed a slight difference, it wasn’t unpleasant. 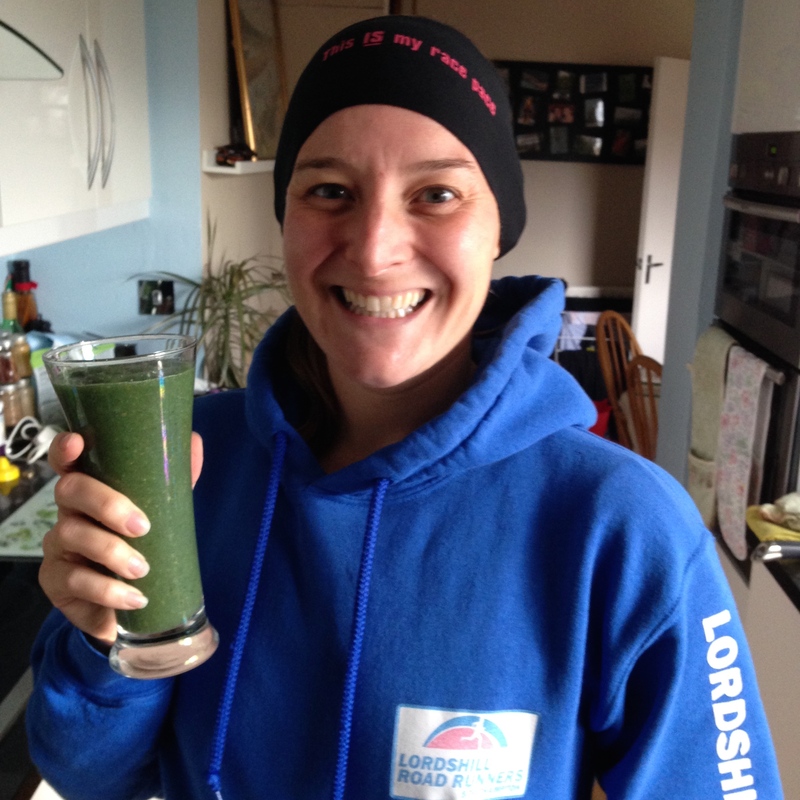 Have you tried spirulina? What did you think of it? Can you recommend any recipes? 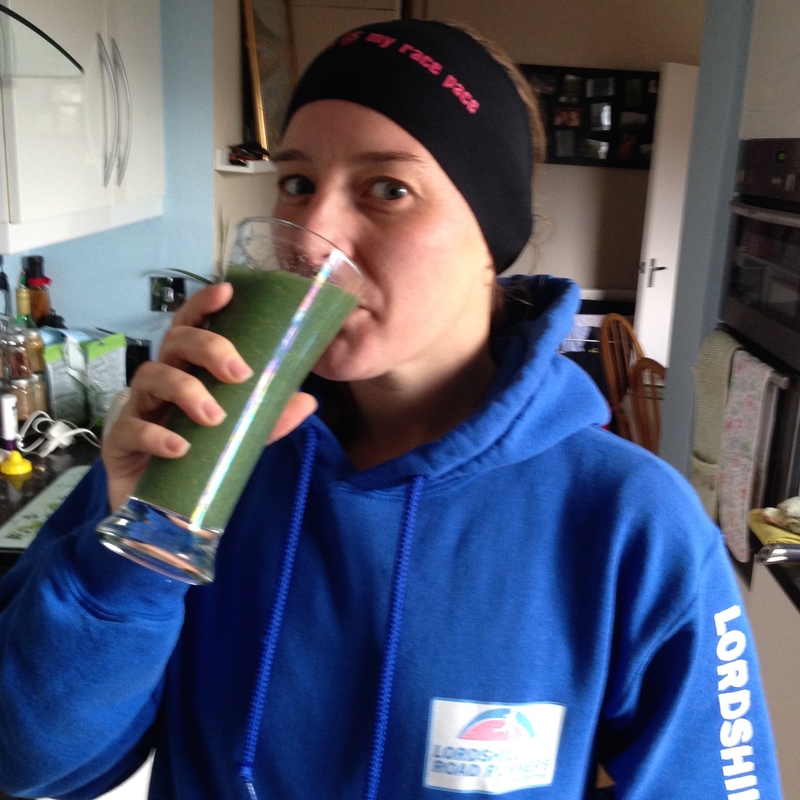 But more seriously, I ask myself: will the quantities one can eat spirulina in (1/2 teaspoon in one glass?) be enough to make any significant impact on one’s protein / B12 / iron intake? Yes, the amount of spirulina that’s in my shake wasn’t much… I’m hoping to buld it up, but I’m not sure it’ll ever be equivalent to eating a small steak (which I wouldn’t do!) I was being very cautious as it does look a bit off-putting, but it tasted fine.